Anyone can find the large simple bathroom mirrors in a number of stores across the country and the web. 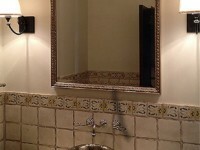 However, while these mirrors are easily available, they are equally boring and make your bathroom look extremely dull. If you want to add a touch of beauty to your bathroom mirrors, consider opting for the custom mirrors as they are highly unique and innovative, making your bathroom stand out like none other. Since the age of one-size-fits-all is practically extinct, a number of mirror manufacturers are now offering exclusive designers so that your mirror is 100% original and second to none. These mirrors are usually hand-crafted using the most premium quality metals and deliver a superior finish that elevates the look of your bathrooms. By using a wall mirror of a substantial size, you can create an illusion of a bigger bathroom and make it appear more spacious. Mirrors also tend to make dull bathrooms more vibrant as they reflect light, whether it is natural or artificial. The choice of frame, size, and overall appearance gives a lot of freedom to home-owners to personalize their mirrors as per their individual tastes. Decorative bathroom mirrors are available in a variety of colors and accents like flowers and other motifs. Along with being highly functional, these mirrors are a work of art and no two pieces will be alike. 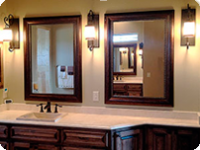 Another great advantage of these mirrors is that they aren’t available in local stores so customers can be assured that they are buying something that no one else has. If you want your home to look truly original and want to make the bathroom stand out, nothing will beat the magic of a customized mirror, hand-picked by yourself! One of the biggest benefits of digitalization is that you can find almost everything you need with just a few clicks. 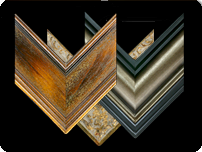 You can easily order a customized mirror by measuring your mirror space, choosing a frame and look and placing the order. Customers will find over hundreds of varieties in materials, colors, designs, and styles online. The customized cut frames are delivered to your doorstep with all the accessories required for installation, ensuring that your new mirror is up for envy in no time! Buying custom mirrors is easier and affordable than you might think! Transform your bathroom into a stylish and enjoyable space with a small uplift of a customized mirror frame!